Digital transformation is inevitable, in this globalized and digital business ecosystem. But, businesses have found it challenging to complete a total digital transformation because they don't understand digital transformation is more of strategy than merely applying technology. Connectivity is the key to unlock total Digital Transformation. Despite having the key, businesses are failing for various reasons. To enable businesses towards total digital transformation we present how the Dell Boomi platform can be a one-stop solution offering new-age connectivity and integration solutions. 59 percent of respondents admitted they knew their organization had missed opportunities due to poor integration." Moreover, with the rise in IoT, the demands for a strong integration ecosystem rose drastically, which in turn created a need for innovative connectivity solutions. Most of the businesses use different systems or applications and the need to integrate these varied systems for specific functions gives rise to various connectivity challenges. Not using robust integration tools resulted in failed connection, defective applications, intermittent functional flow, deprived workflow efficiency, increased downtime and decreased information visibility. Legacy systems are often considered the biggest barriers to digital transformation. 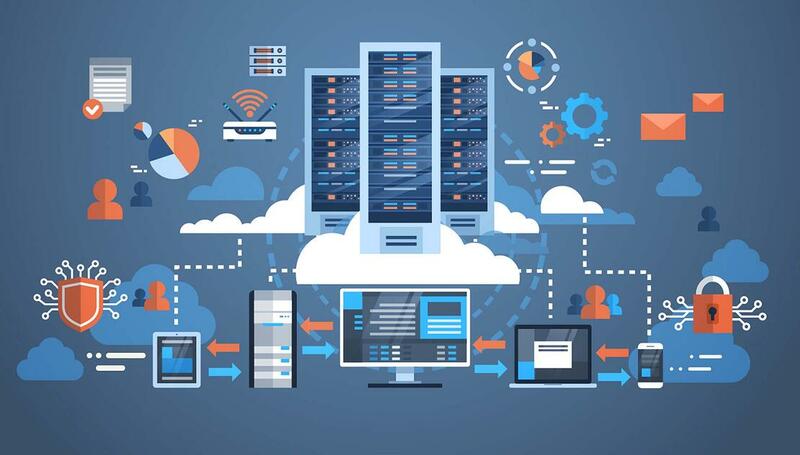 Legacy modernization is achieved either by replacing entire systems with new-age applications or by building interfaces connecting legacy systems with the rest of the business systems or applications. Migration teams in a hurry to complete the migration process, sometimes use native tools that lead to improper connectivity. Thereby resulting in data loss and may also lead to inappropriate functional implementation or may also leave vulnerabilities for cyber attacks. Data is a crucial aspect of any business and success of any business decision purely depends on the ability to organize data and extract intelligence. Demand for numerous data types flow in and out of various systems constantly. While connecting two divergent systems, defining accurate data mechanisms for data storage and flow management becomes very intricate. Not getting the data connectivity done precisely will have a direct impact on business decisions, productivity, and business agility. This becomes even more complex with businesses that have more legacy systems. Thereby affecting the overall culture of the organization, which in turn leads to a failed digital transformation journey. The Dell Boomi integrated hybrid cloud iPaaS platform ensures swiftness and agility that's required for a successful digital transformation. The highly scalable and agile Dell Boomi cloud platform comes with predefined processes or modules that are drag-and-drop to achieve integration of any sort, while also ensuring custom code scripting. This keeps the development team from writing complicated code for application programs for integration. API is the key enabler of Digital transformation efforts. 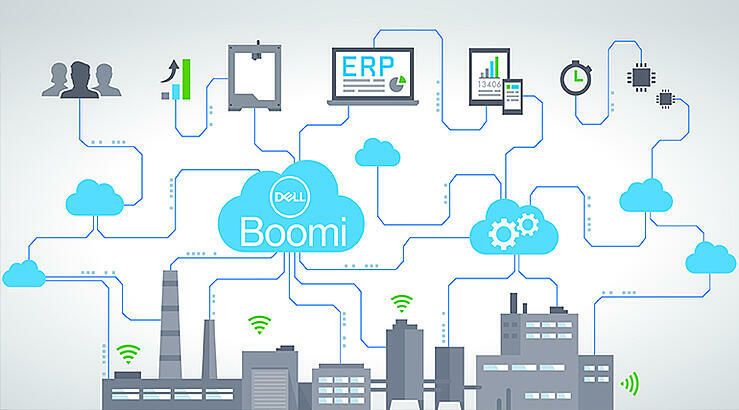 The Dell Boomi platform provides a robust API strategy, connectors, and data mapping tools for robust integration with any disparate systems. A highly customizable API strategy lets businesses access data from any applications or legacy systems and seamlessly bridge with the existing business systems. The Atom Cloud avails users with consolidated portal dashboards, allowing the teams to analyze all the completed and on-going integrations status and their health. This way, businesses can get a transparent view of the secure data movement between end-to-end business processes and across any platform with no hindrance. Thereby allowing companies to successfully identify and deal with issues like data silos and unsynchronized software stacks. This increases the business potential to deliver better connectivity among people, data and applications, which in turn results in better business decisions and innovate new business applications or prospects. 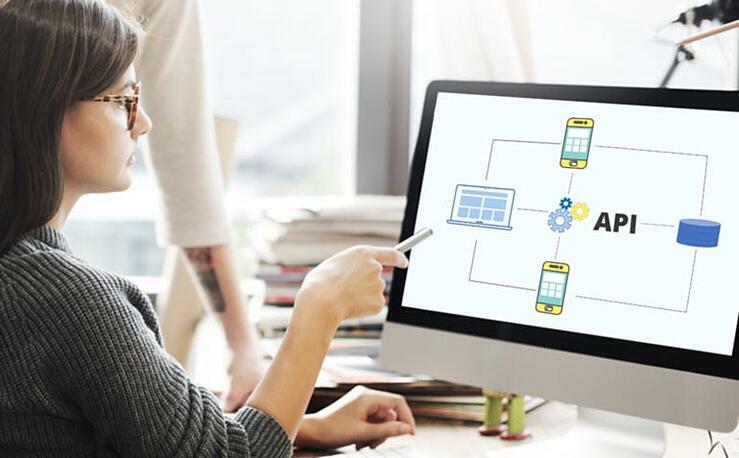 This is how Dell Boomi’s flexible and robust integration ecosystem boosts business agility to offer better connectivity, which is key to unlocking the doors of digital transformation.